Heat oven to 200°F. Divide popcorn and pecans between 2 ungreased rectangular pans, 13x9x2 inches. Heat brown sugar, butter, corn syrup and salt in 3-quart saucepan over medium heat, stirring occasionally, until bubbly around edges. Cook 5 minutes, stirring occasionally; remove from heat. Stir in baking soda. 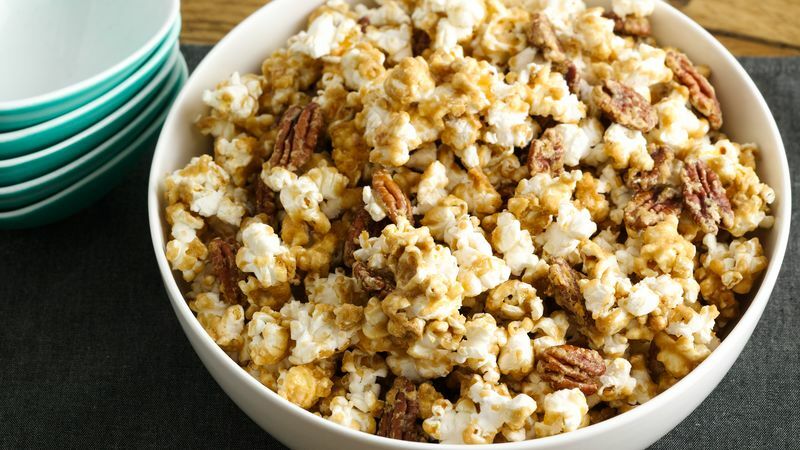 Pour mixture over popcorn and walnuts; stir until well coated. Bake 1 hour, stirring every 15 minutes. For easy cleanup, line each baking pan with heavy-duty aluminum foil before adding popcorn.